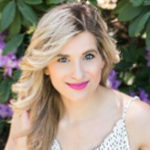 Sheblogs Canada works closely with an Insider panel of some of the top Lifestyle influencers in Canada. 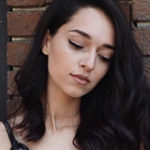 In partnership with sheblogs Canada, the exclusive collaborative panel of 5 share their unique voices and provide their take on various millennial-age topics. My name is Natalie Alysa, fashion & lifestyle blogger of POP OF BLACK. I love all things fashion, where you will most likely find me taking street-style photos all around the City of Toronto wearing the latest trends! I love sharing my ideas about life, fashion, and the blogging/influencer world on my blog, while also creating some fun videos on Youtube about similar topics! After graduating from University in the Spring of 2017, I immediately dove into the world of being a full-time blogger, while also doing some freelance social media work on the side (there's no time to waste when your dreams are happening right in front of you, am I right!?). P.S. my mini wiener dog, Louie, also goes with me everywhere, so you will most definitely see him on all of my platforms (I hope you like dogs!). 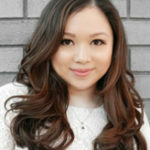 Canadian Fashionista is a lifestyle blog run by a born and raised Londoner. Amber shares a glimpse inside her “not so glamour’s” life, along with her daily dose of style and current beauty faves of the moment. Although Amber created this blog way back in 2010 as a creative outlet, she never imagined doing it full-time or just how many amazing opportunities or friends she’d meet along the way. She hopes to bring inspiration in both fashion, beauty, travel, décor and so much more. I hope you come join in her journey and share your love for all things girly.